If you are looking for a recipe to make in your pressure cooker, you can’t go wrong with this classic dish. 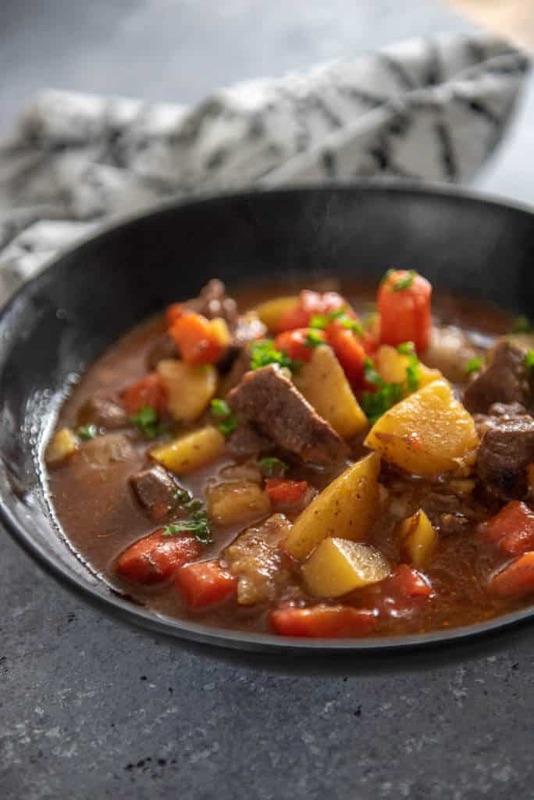 Instant Pot Beef Stew is rich, tender and packed full of comfort food flavors. Given that our temps here in Kansas City are sub-zero today, I think it’s the perfect day to share this warm comfort food dish. 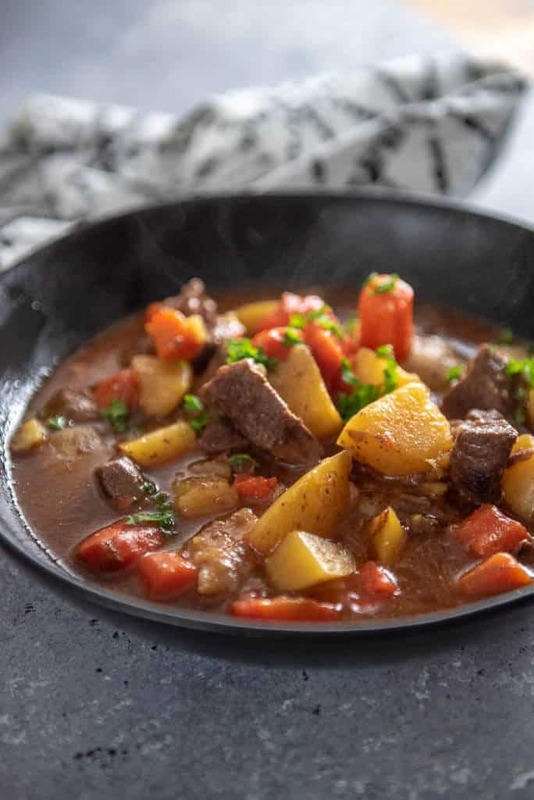 Instant Pot Beef Stew is the perfect meal to make when you need a rich and hearty meal but are short on time. Using the pressure cooker is a genius way to get tender and delicious beef stew without a lot of hassle. This version uses carrots and potatoes in a rich and hearty broth to fill you and warm you up. Easy to put together in minutes and let the Instant Pot handle all the hard work. How do you make stew meat tender? Because we all know that stew meat is plain tough. So that leaves us with the option of cooking it all day long, using another more expensive cut of meat, or better yet, using the Instant Pot! In just 30 minutes or so of cooking time, the Instant Pot can make the toughest cut of stew meat totally tender. Of course you could use another option as well, but there’s really no need. How do you thicken beef stew? When cooking recipes in the pressure cooker, it really important not to add any thickeners during the pressure cooking part of the process. If you do, the pot will either not come to pressure properly, the food may be to thick and burn to the bottom, or you could end up with one of the dreaded malfunction stories you’ve probably heard. That leaves you to add either flour or cornstarch after the end of the cooking time, but the downside to this is that it will have a raw or mealy flavor or texture. The good news is I’ve had great success adding tapioca pearls at the beginning of cooking time without making the soup overly thick and it does very well in the Instant Pot. 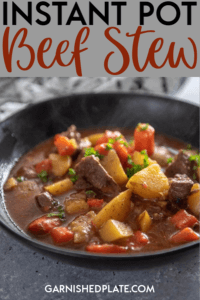 If you are more of a die hard slow cooker fan, make sure you check out my Slow Cooker Beef Stew recipe!! If you are looking for a recipe to make in your pressure cooker, you can't go wrong with this classic dish. 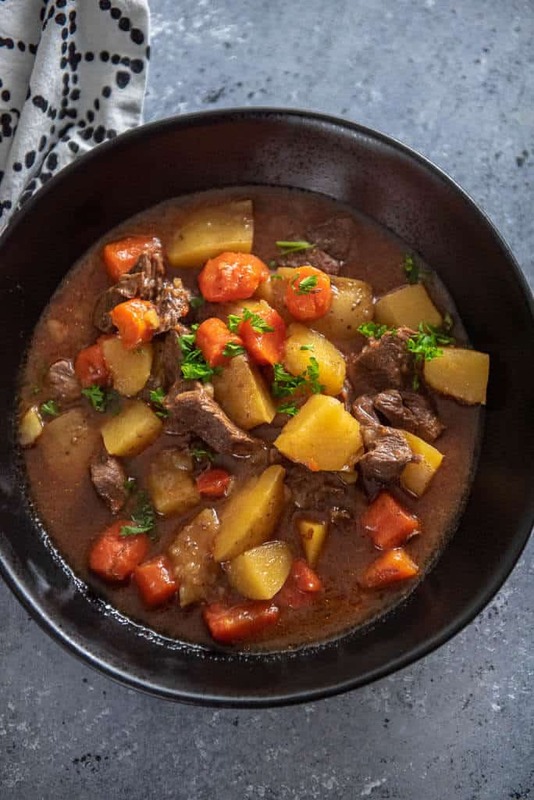 Instant Pot Beef Stew is rich, tender and packed full of comfort food flavors. Instant Pot will take around 10-15 minutes to come to pressure and around 15 minutes to naturally release pressure in addition to the 35 minutes of cooking time.